This year, I finally remembered on the actual day. Today is my official Sugar-Free-iversary. In 1998 — that’s eighteen years ago — I said bye-bye to sugar on doctor’s orders. I had to have so many fillings from places like Dentist Fort Wayne due to my sugar habits, and now I’ve stopped sugar, my teeth have been perfect! 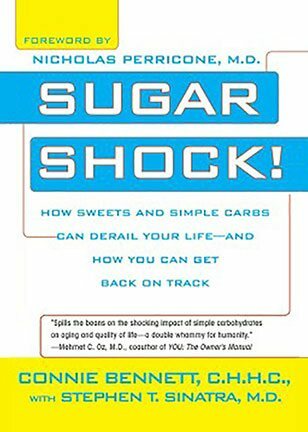 buy now 1) Being a Sugar and Carb Addict was a Big Blessing. It’s taken me a while to reach this conclusion, but if I’d never hit rock bottom as a sugar addict, I never would have discovered the joy, peace and calm that I now derive from treating my body with the respect, love, and appreciation it deserves. In short, because I once treated my poor body so badly and mindlessly, quickly shoved processed carb crap into my mouth, I now relish putting nourishing foods into it. order now 2) It’s Horrible to Feel Like a Sugar Slave! Being addicted to sugar is one of the most awful feelings imaginable. I never ever want to go back there again. That thought has helped to keep me on the sweet sugar-free path. If I gave into sugar, I would feel powerless, trapped, and disappointed with myself. And I’d feel much like Cartoon Connie above. Crazy Cravings for junk food galore would be hounding and haunting me all the time. But, thankfully, no more. Whenever I’ve been tempted–which just doesn’t happen much anymore, I remember that Sweet Freedom is super delicious. https://conversionfanatics.com/healthandwellness cheap generic viagra mail order pharmacy 3) To Strive for Perfection is Pointless. But 90 Percent is Possible. You just can’t be perfect. It’s absurd to try to be totally sugar-free all the time, because sugar, high fructose corn syrup, agave, barley malt, coconut sugar and a host of other sweeteners are hidden in thousands of processed foodstuffs, from crackers to cocktail sauce. Even the finest of chefs tend to slip the sweet substance into their culinary creations. Rather, it’s best to aim for 80 or 90 percent sugar-free. The other thing that can happen is that you may slip. At this point, you need to give yourself compassion and kindness. More about the power of compassion another time. 4) Always Pack Healthy Snacks or Mini-Meals. One of the biggest discoveries I’ve made over the years is that it’s absolutely imperative to plan ahead at all times. Whenever I leave home, especially when I’ll be on an airplane, at a meeting or conference, or out socially, I need to have a selection of healthy foods with me to ward off the blood-sugar blues, which can lead to overeating the wrong foods. 5) Remember: If I Don’t Eat Right, I’ll Suffer Big Time. One of the reasons I’ve been able to stay sugar-free is that I remember how bad it can get. Cheating just isn’t worth it. It’s simply inevitable that I’ll feel horrible for up to three days after either sweets. Likewise, I don’t feel great if I eat too many processed carbohydrates (what I call fast carbs or quickie carbs). For instance, if I eat lots of movie popcorn or corn nuts, I’ll get such annoying ailments as brain fog, lethargy, anxiety, depression, digestive problems, crying spells, and cravings for more of the same fast carbs. But if I have sugar, it’s even worse. 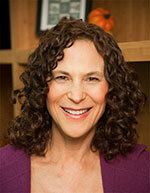 There’s simply “no escaping the terrifying change that occurs against my will,” as I shared in my book, Sugar Shock. And I’m not unique. 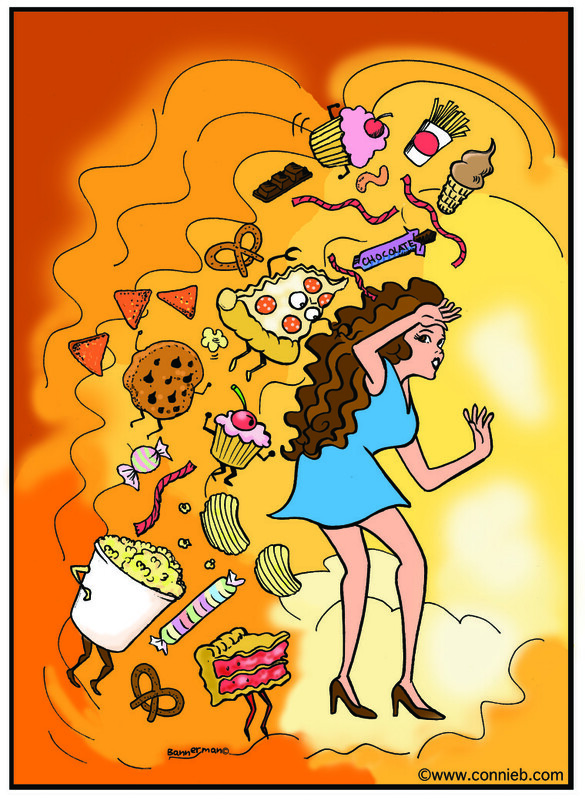 Millions around the world suffer from mammoth physical and/or emotional turbulence after eating sweets or fast carbs. 6) When Stressed Out, Temptation Will Strike—A lot. Over time, I’ve come to realize that when I’m under extreme stress, deadline pressure or emotional turmoil, my calm resolve can be shaken. Sure enough, at that point, fast carbs such as movie popcorn will entice me. In addition, if I’m tired, I may look twice at tempting sweets, but I always remember that I’ll feel simply awful if I indulge. Likewise, if I haven’t gotten enough sleep, my willpower will wane. That’s the time to really be on the alert. If I want to snack when wiped out, I’ll go for something tasty but healthy such as a tablespoon of this scrumptious NuttZo nut butter. 8) Falling off the Wagon Is Okay; Perhaps Even Expected. You just can’t apply the same standards towards food that you do for alcohol. Unlike booze—which you can totally skip and never drink another drop again—you always have to eat. This means that whenever and wherever you go, sugary or quickie-carb non-foods will abound. At times, they’ll strive to land in your stomach—or so it may feel. What’s more, we’re human beings, which means we’re not perfect. Rest assured that there’s a tremendous freedom in accepting that despite our best efforts, at times, we just won’t eat right. That’s okay. It’s what you do afterwards that counts. 9) Real Food Tastes Sweeter & Tastier than Junk Food. When you let go of sweets and fast carbs, you’ll discover your taste buds. Real food, you’ll find, is scrumptious and delectable as opposed to the bland, super-salty, excessively sweet or ultra-fatty taste you get when you turn to quickie-carb foods. Plus, when you lovingly create your own dishes, you’ll be delightfully surprised at how you’ll savor the flavors. This has been a tough one for me, but I’ve finally learned. Whenever you eat out–whether it’s in a restaurant, a conference or a health food eatery–always kindly quiz the wait staff if there is sugar, honey, barley malt, etc. in their dishes. Alas, I Got Duped, and then very sick as recently as last year. Indeed, even those allegedly healthy sweeteners will knock me out. Now, I invite you to join me and to think about the sweeter life that could be yours. Think about how you’d feel if you’d gone 18 years sugar-free, too. Join the Conversation. 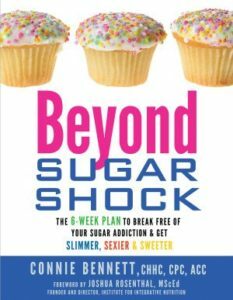 Have you thought about quitting sugar or processed carbohydrates? Share your thoughts now. I am doing a great job of avoiding refined carbs and even being low carb. I got my HgA1C down from 5.8 to 5.5 by going the “Eat Fat, Get Thin” program for just two weeks. I did get a little too weak to exercise so I went back to some carbs. 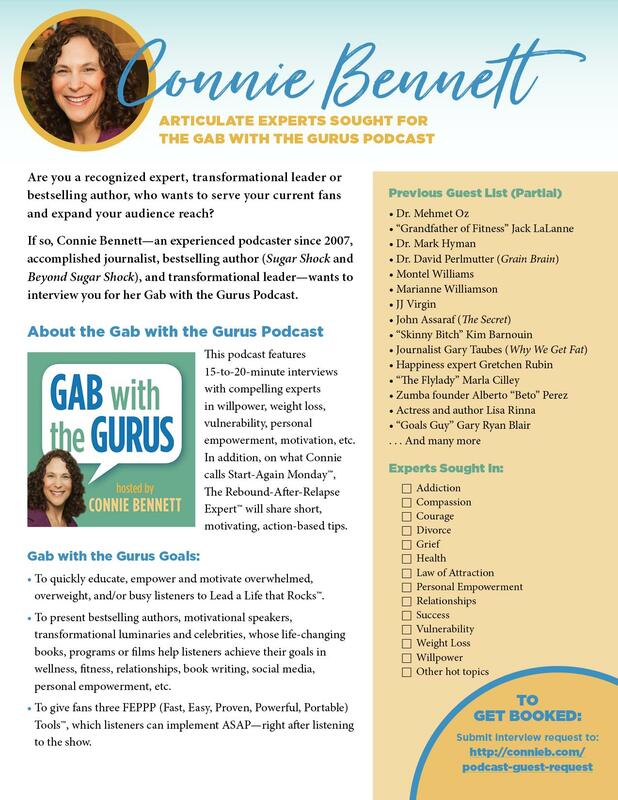 But when I ate one half of a cantaloupe and looked up the total carb grams I realized that I had gone 5 grams over the recommended limit of 60 grams per meal. We have to watch fruit as well. The ladies at a diabetes teaching Center say “carbs are not your enemy” but they also deny the direct relationship of refined sugar to diabetes. 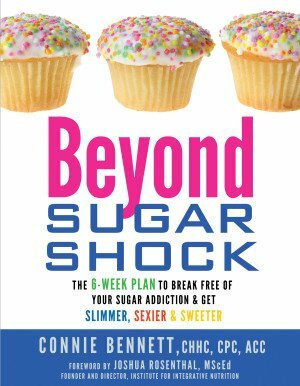 Love your story sounds just like me……..This is my 2nd week of not eating sugar………And feel wonderful!